Is The Construction Industry in Arizona Back to Normal? The Phoenix Metro area is finally pulling out of the Great Recession of 2008. Potential homebuyers are frantically looking to buy a home before interest rates rise and prices continue their ascent to normalcy. For the last several months, residential construction builders have continued to buy more land around the Valley of the Sun for new subdivisions, especially in North Phoenix and the East Valley. In fact, from January through May of 2013, in the Phoenix Metro area alone, 86 new communities have come to fruition—more than all of 2012. Nationally, single-family housing starts reached 667,000 in December 2013 according to the National Association of Home Builders tracking of single-family home starts, which is comparable to 1985 levels. It has been well documented that since the conclusion of World War II, Arizona’s population growth fostered new home construction at a rapid, almost unmatched pace. At the 2006 construction peak, Arizona’s residential construction output climbed to 64,000, more than double the average 20,000 to 30,000 new homes that are typically constructed annually. Building rates have not come close to the 2006 numbers, but new home starts increased 70 percent since 2012. In 2009, foreclosures reached alarming proportions. However, in 2010, the engine of Arizona’s population growth, the Phoenix Metro area, began to grow again. Since 2010, Maricopa County had added 125,000 residents. There is strong demand for new housing, and appreciating housing prices has let the construction industry get back on its feet. In residential construction, supply is tight, and all cash offers are common. We all know that Wall Street played a huge role in creating the housing bubble, and eventual bust, by facilitating the use of risky, sub-prime mortgages and turning them into securities that were sold to investors, pension-funds, and the like. Well, Wall Street is back at it. Historically low interest rates and the Fed’s purchases of mortgage bonds has fueled a housing revival. Private-equity firms have been buying homes with all-cash offers since 2011 in distressed regions, such as the Phoenix area. Thousands of foreclosed and vacant houses were bought by investors. This has distorted prices, pushed out would be first time home buyers, and given a false sense of recovery of the housing market. Builders are taking advantage of the short supply of homes by further limiting the number of houses offered up for sale to keep prices up. Understandably, builders are also treading lightly and cautiously given the significant hit most contractors suffered during the Great Recession. The construction industry is adding jobs on a national scale, although 1.7 million less jobs than the height of the market in 2006. There are approximately 121,700 construction workers in Arizona, which includes 92,100 in the Phoenix Area. While improving, the Arizona construction industry is facing new challenges with the rebound. 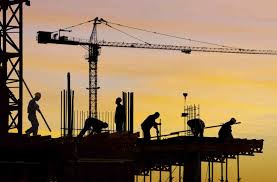 Builders are enduring labor problems due to a shortage of skilled workers, lack of desirable building lots, and an inability for subcontractors to ramp their labor operations to handle the increase in opportunities. In the U.S., the construction industry’s unemployment rate is hovering around 8 percent, the lowest mark in five years. Unfortunately, a large portion of the work force that was lost when Arizona’s construction jobs were cut by 208,000 during the crisis, have not come back. Many have decided to change careers and it has been an uphill battle to recruit new workers. In Arizona, construction work is hot, intense, physically demanding manual labor- not exactly appealing to your average high school graduate. Arizona youth seem somewhat disinterested in learning a trade. Many contractors find themselves searching for painters, plumbers, drywallers, and framers. To put it bluntly, many contractors’ workforce is overwhelmingly Latino, and they haven’t been easy to replace. In 2008, a law was passed that required employers to check the legal status of new workers against the federal E-verify database. The controversial immigration enforcement bill (Senate Bill 1070) has not helped matters due to stricter pre-employment screening requirements and a portion of Latinos feeling as though they are discriminated against in Arizona. This has had the effect of a number of immigrants fleeing to Texas and North Dakota. In fact, approximately 92,000 Latino immigrants moved out of Arizona after the E-Verify requirements were put in place according to the Public Policy Institute of California. During the boom, it was easier to convince an undocumented worker to climb up on a roof when its 120 degrees, and housing construction was affordable. Contractors are now facing the reality that they are going to have to convince U.S. Citizens to perform difficult labor, increasingly deal with union demands, and compensate their workforce with increased wages and benefits. Is the construction industry in Arizona back to normal? Let’s just say, it’s the new normal.